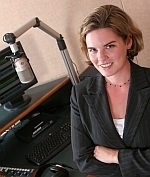 One of Vermont’s best known news broadcasters plans to retire at the end of the summer. WCAX’s Marselis Parsons will step down as news director at Channel Three in June. And he’ll sign off as anchor of the evening news a few months later. We’ll explore the depth and breadth of the left side of the state’s political spectrum with former politician Peter Clavelle and Chair of the Democratic Party, Judy Bevans. Also, a conversation with Vermont novelist Castle Freeman, Jr.